We want to build the first destination gin distillery and visitor centre in Cornwall powered completely by renewable energy. We're a small family business with big plans. Jilly and I are a husband and wife team, now joined by our son Jeremy, and assisted by our two daughters. We're both great gin enthusiasts, we watched with interest the rise of craft gins in London and in 2012 we decided to move to Cornwall and start a gin distillery. After lots of experimentation we came up with an exceptional recipe and production method; steeped overnight and distilled extremely slowly, made with the finest Certified Organic grain alcohol together with our unique combination of botanicals and spring water from Bodmin Moor, we produced an exceptional gin that's extremely smooth, with a burst of citrus at first giving way to juniper and followed by a long gentle spicy finish.  Working from an outbuilding in the grounds of our house, we launched Elemental on the market in 2013 to great acclaim. 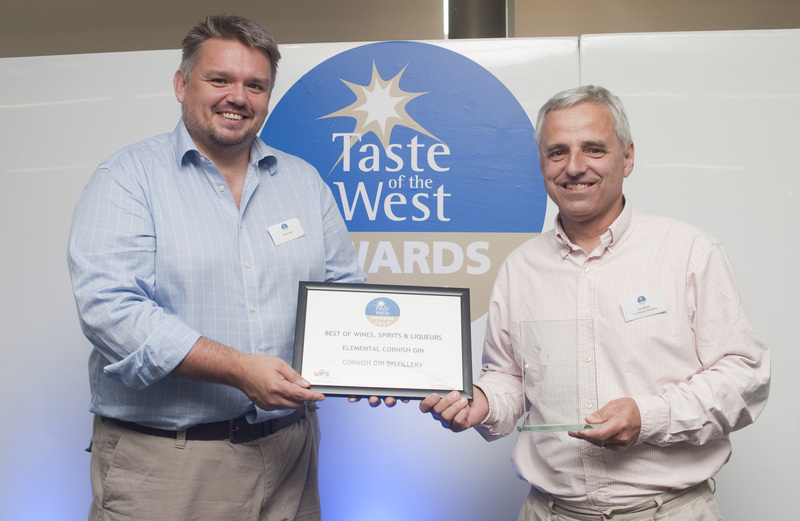 We soon won a Gold Award from Taste of the West and won the Best Product out of all wines, spirits, and liqueurs in the West Country, together with a host of other awards at the Royal Cornwall Show. We are now one of the leading gins in Cornwall, selling both through independent retailers and direct to the public at markets and events. We are currently at full capacity in our small outbuilding, which is limiting our ability to grow. Last year we obtained planning permission to build Cornwall's first renewable-powered gin distillery and visitor centre in our grounds, with the idea of not only increasing capacity to make more of our Elemental gin but also making this a "destination" distillery, supporting distillery tours, tastings and other events in gorgeous contemporary surroundings whilst looking out over the Cornish countryside towards Castle-an-Dinas. The whole distillery will be powered by renewable energy through a solar array and will also offer solar-powered electric car charging points. We expect to create around 12 new full-time jobs in our new distillery, providing much-needed employment in the local area. To help us get started we are launching a new premium gin, which we're calling Elemental "Rising Tide", and which we're offering as rewards to help us fund our new distillery and visitor centre. Our new gin will be the same exceptionally fine quality as our classic gin, but with some additional botanicals from the Cornish Coast and cut to a higher strength of 47% alcohol, with a new label to embellish our classic logo designed by a renowned local artist. We're offering the first production run of our 'Rising Tide' gin as a special limited edition to our supporters through Crowdfunder rewards, and all our supporters will be named on a plaque in our new distillery. We will also send out regular updates to supporters on the recipe development and label artwork before shipping the first bottles in spring 2019. Reward gift cards will be supplied to supporters before Christmas, allowing rewards to be given as a unique Christmas gift, with the recipient's name listed on our distillery plaque. Our handcrafted gins are distilled in small batches, 160 litres at a time, allowing us to make around 200 bottles per batch. We use only the finest ingredients from top quality suppliers, we prepare all the ingredients by hand, we distill in hand-made swan-necked copper stills and we bottle, label and wax the tops of each bottle by hand on-site in our small micro-distillery in the heart of Cornwall. 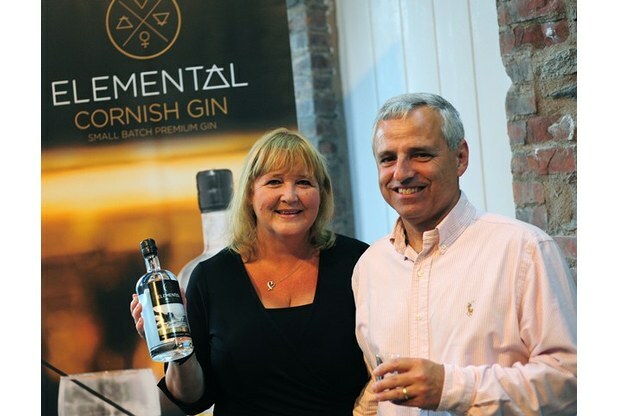 Elemental Cornish Gin, 42% ABV; Our classic multi award-winning small-batch Cornish Gin. Elemental Raspberry Gin, 40% ABV; The citrus hit of our classic gin blended with raspberries for a perfect gin and tonic with a touch of pink. 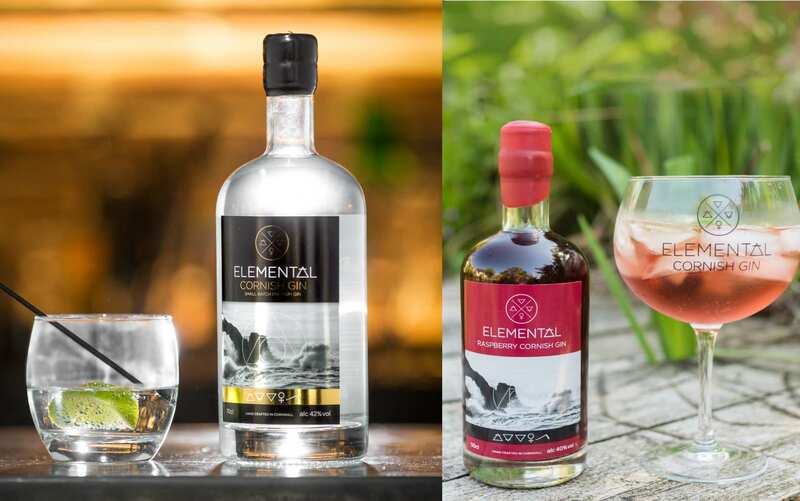 Elemental Apple Gin, 38% ABV; Apple Gin with a hint of elderflower, with underlying classic Elemental tones for gin and Tonic with a difference, also makes a perfect Appletini when shaken with ice; served in a cocktail glass with a slice of apple on the side. Elemental Rising Tide Gin, 47% ABV; In development, but it will be excellent! Be the first to try it by supporting our project. 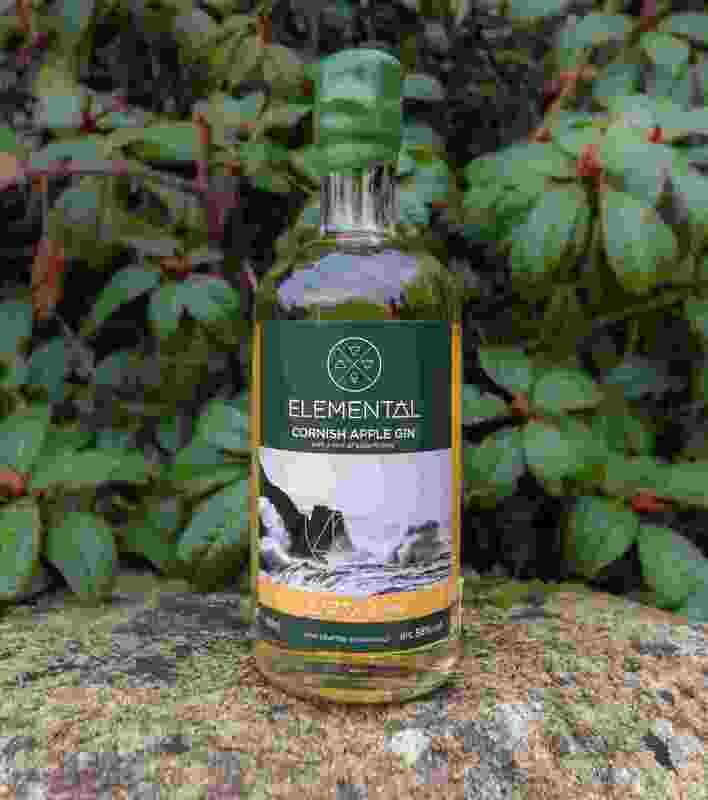 A 35cl bottle of Elemental's new ultra-premium Cornish Gin from the first production run, with each bottle individually numbered and signed, Includes delivery to mainland UK. Supporter will have their name displayed on a plaque in our new distillery. A 5cl miniature bottle of our classic Elemental Cornish Gin or one of our fruit gins, including shipping to mainland UK, supplied in time for Christmas. Please indicate which flavour you would like. A reward gift card gifting a 70cl bottle of Elemental's new Rising Tide ultra-premium Cornish Gin from the first production run, including delivery to mainland UK, with each bottle individually numbered and signed. In addition the recipient's name will be displayed on a plaque in our new distillery. The gin is expected to be delivered in March 2019, but the gift card will be supplied before Christmas. A 70cl bottle of Elemental's new Rising Tide ultra-premium Cornish Gin from the first production run, including delivery to mainland UK, with each bottle individually numbered and signed. In addition the supporter's name will be displayed on a plaque in our new distillery. A reward gift card for two 70cl bottles of Elemental's new Rising Tide ultra-premium Cornish Gin from the first production run, including delivery to mainland UK. In addition the recipient's name will be displayed on a plaque in our new distillery. The gin is expected to be delivered in March 2019, but the gift card will be supplied before Christmas. Two 70cl bottles of Elemental's new Rising Tide ultra-premium Cornish Gin from the first production run, including delivery to mainland UK. In addition the recipient's name will be displayed on a plaque in our new distillery. A case of six 70cl bottles of Elemental's new Rising Tide ultra-premium Cornish Gin, with each bottle individually numbered and signed, including delivery to mainland UK. In addition the supporters name will be displayed on a plaque in our new distillery. Visit our new distillery and design your own gin from a wide selection of botanicals using one of our small 40 litre stills to produce around 45 x 70cl bottles at 42% alcohol. Bottle and label the gin and give them to your friends. Visit our new distillery and design your own gin from a wide selection of botanicals using one of our small 40 litre stills, bottle them in miniature 5cl bottles as wedding favours, with your own label. Estimated quantity around 600 bottles.